Ereignis - Move. Kosten: 1. 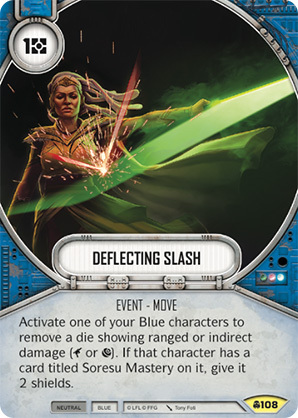 Activate one of your Blue characters to remove a die showing ranged or indirect damage ( or ). If that character has a card titled Soresu Mastery on it, give it 2 shields.